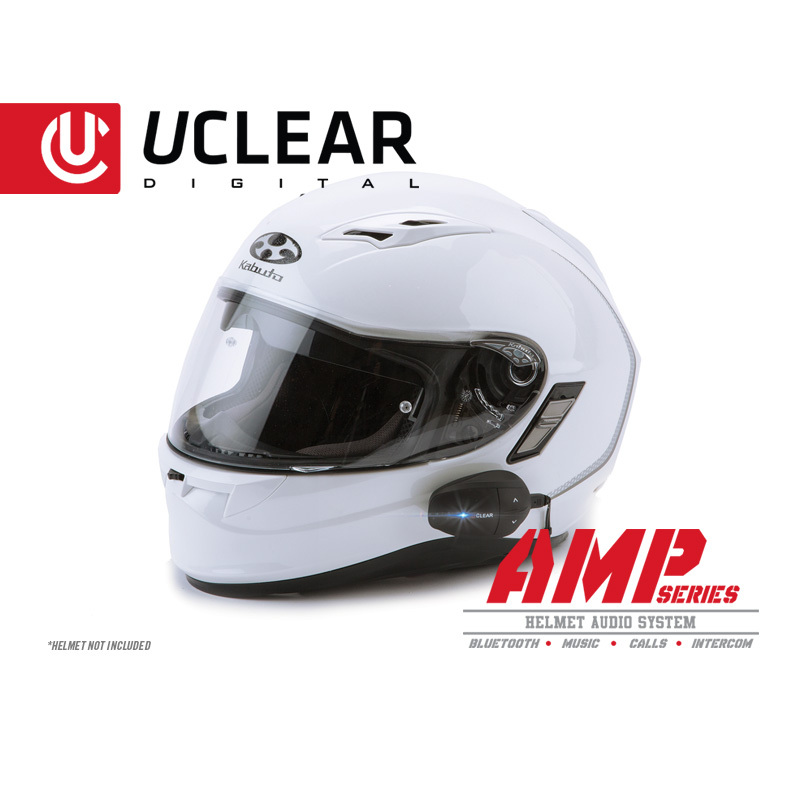 The AMP Pro Bluetooth® Audio Kit is the premium Bluetooth® helmet and audio communication system by UCLEAR Digital. 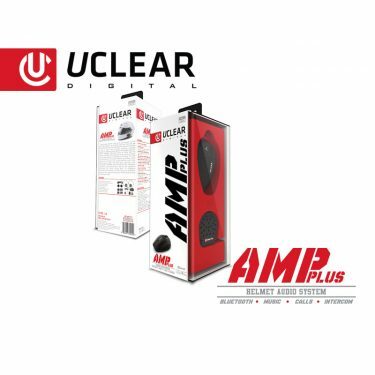 Paired with the industry-best Pulse Pro speakers, the system features hi-fi studio sound that delivers a warm natural voice, powerful bass, and clean highs. 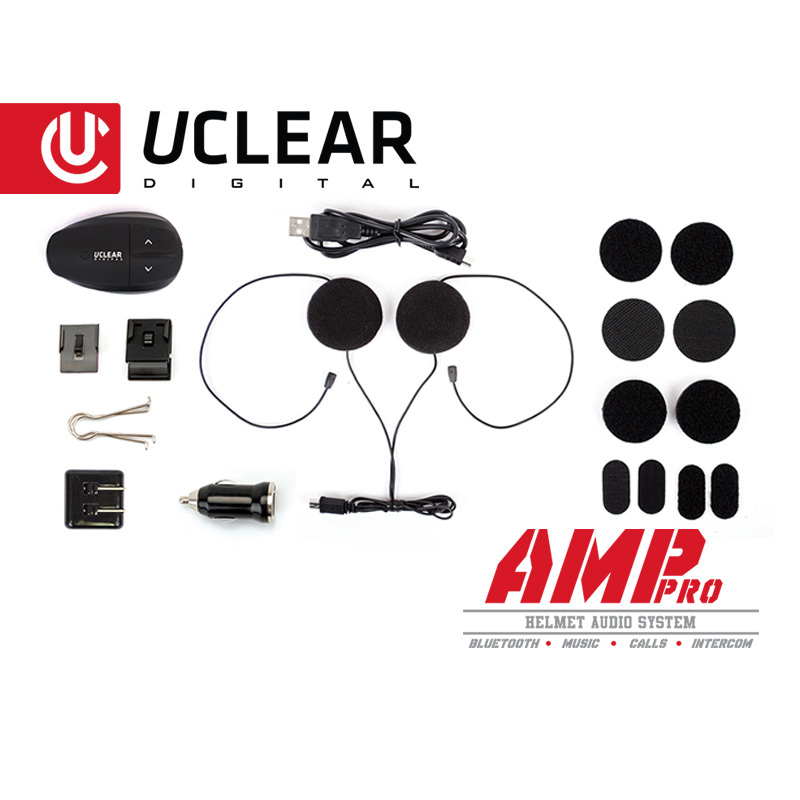 An unlimited number of riders can be connected using the AMP Pro’s full-duplex intercom technology. The UCLEAR AMP Pro Bluetooth® Helmet Audio System is built on the foundation of the popular HBC Series, we’ve upgraded the AMP Series with a faster and more powerful processor. 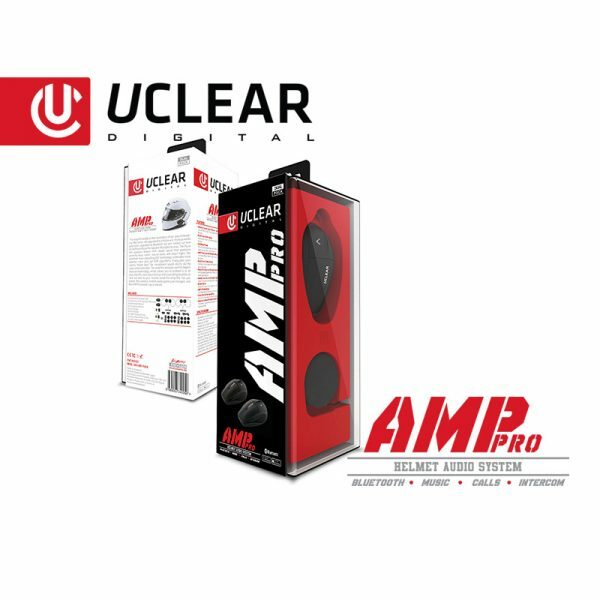 Using advanced Bluetooth® 4.2 connectivity, the AMP Series offers a stronger and more stable connection. 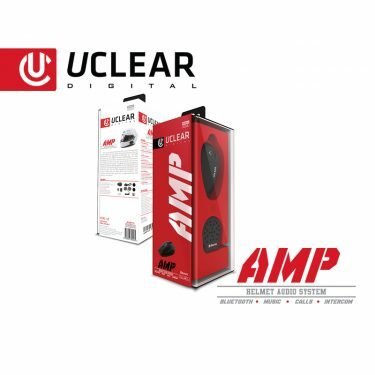 Paired with the industry-best, Pulse Pro speakers, the system features hi-fi studio sound that delivers a warm, natural voice, powerful bass, and clean highs. 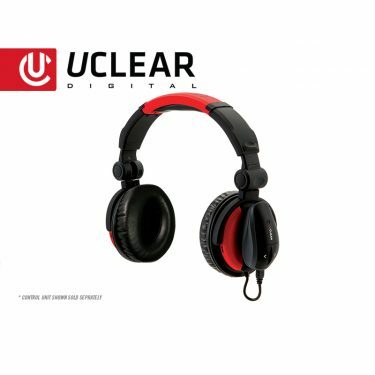 Our exclusive noise-cancelling ABF technology eliminates virtually all background noise while our patented DSP algorithms triangulate your voice’s “sweet spot” to produce exceptional sound clarity. A unlimited number of riders can be connected using the AMP Pro’s full duplex intercom technology. 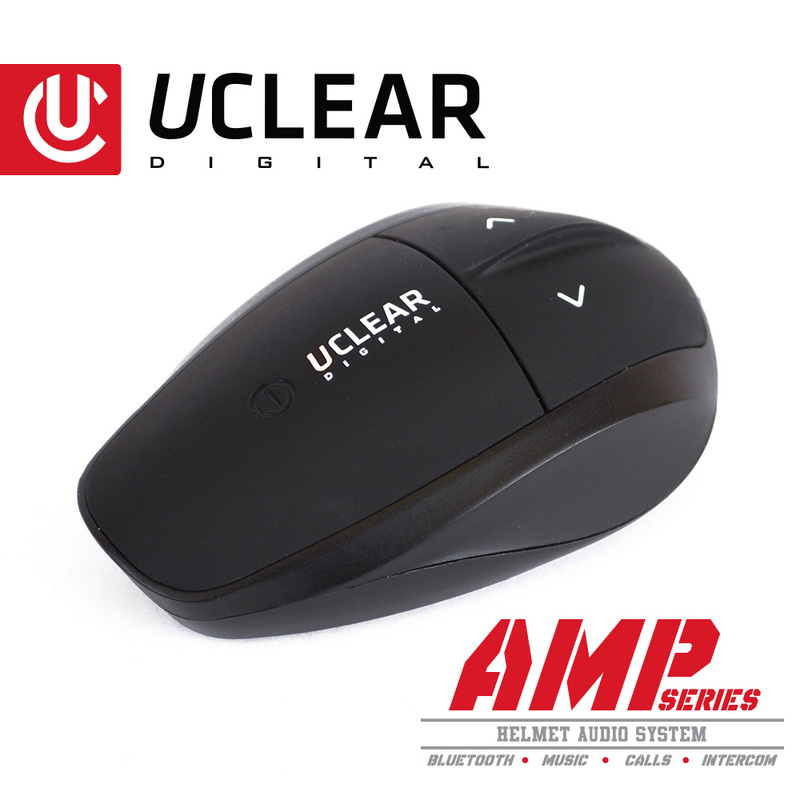 Enjoy conversation and music on the road like never before with this premium wireless helmet audio system from UCLEAR Digital. 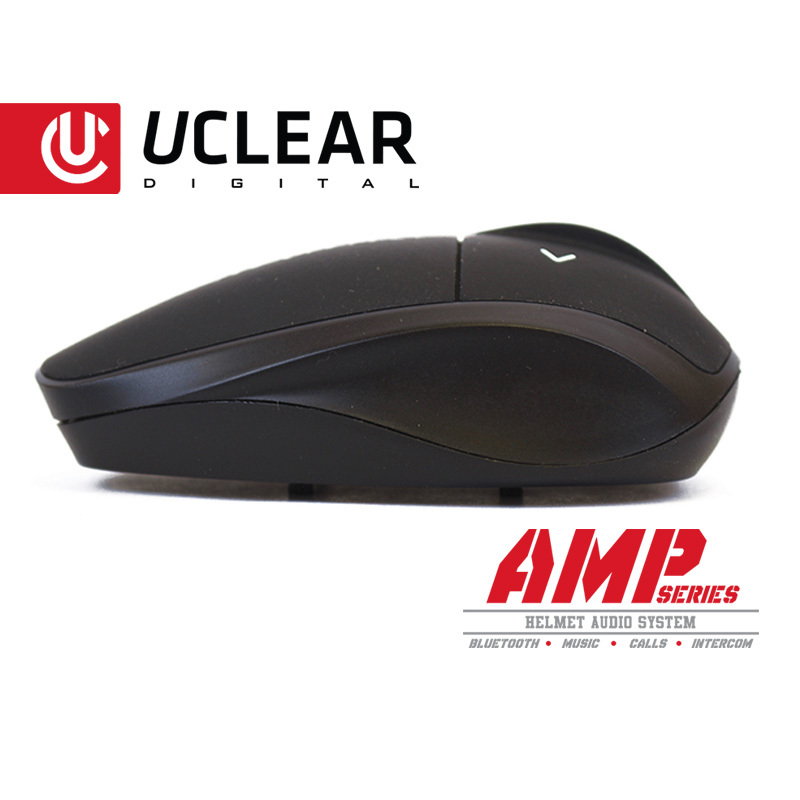 Enjoy the ultimate convenience with the CLEARLink mobile app available now from UCLEAR Digital. 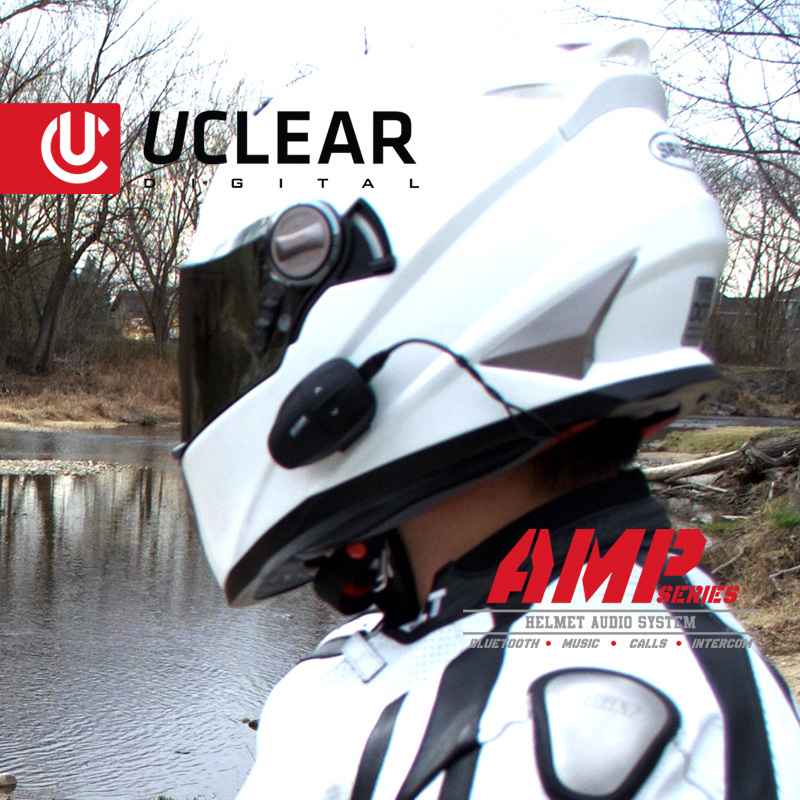 For use with the AMP helmet audio and communication systems, the industry-exclusive mobile app allows users to update firmware and customize preferences wirelessly from any Smartphone or tablet. 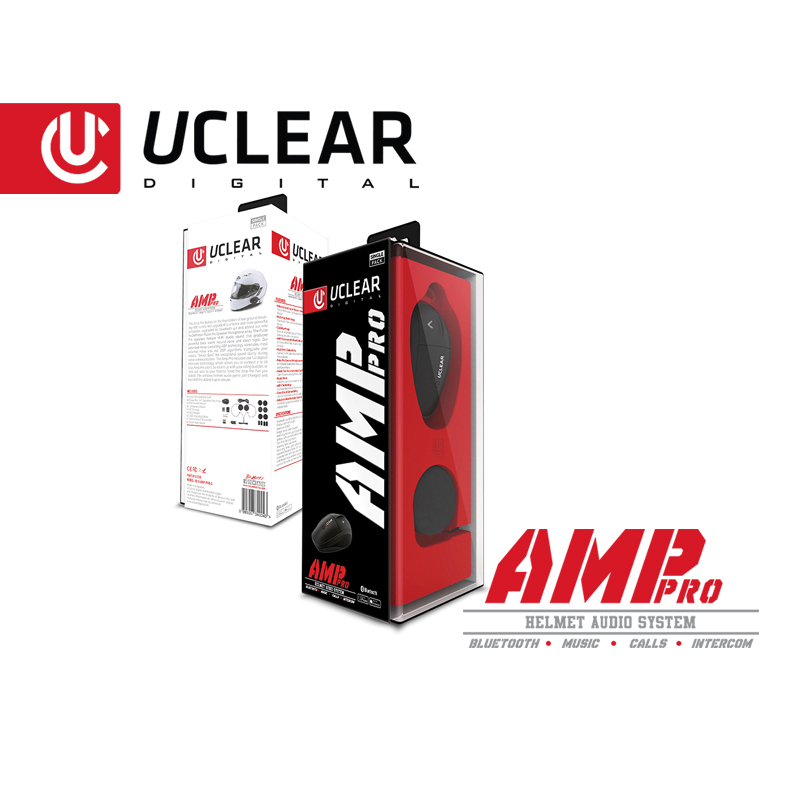 If you are looking to turn your sound experience to 11, then look no further than the AMP Pro’s Pulse Pro Speakers! 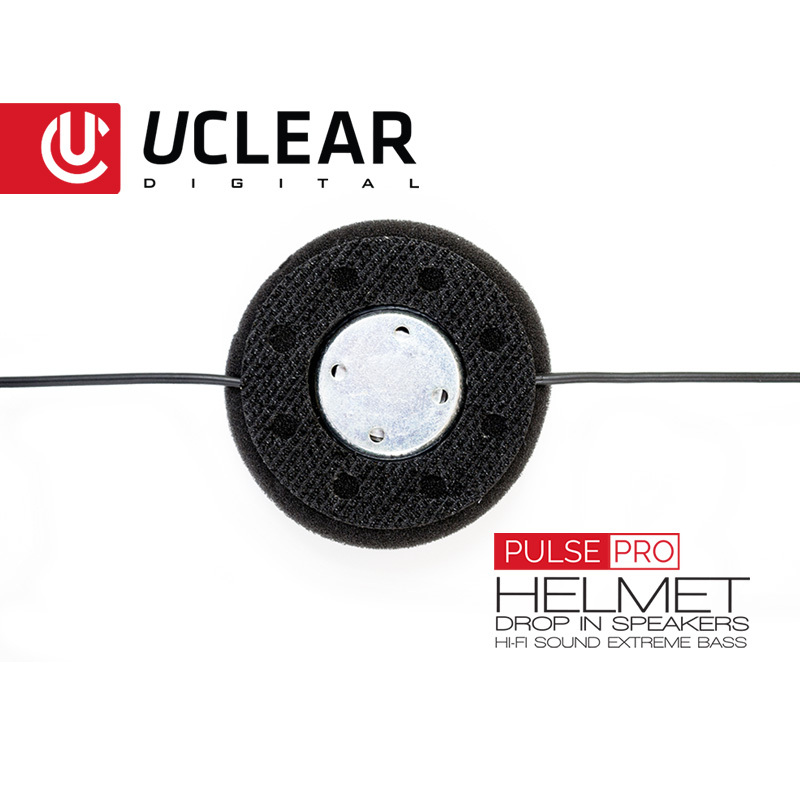 Enjoy the unsurpassed audio quality of the Pulse Pro Speakers, featuring Hi-Fi studio sound that produces powerful bass, warm, natural voice, clean highs. Your ears will thank you! Our audio engineers worked feverishly on the Pulse Pro to bring you studio quality, Hi-Fi audio. 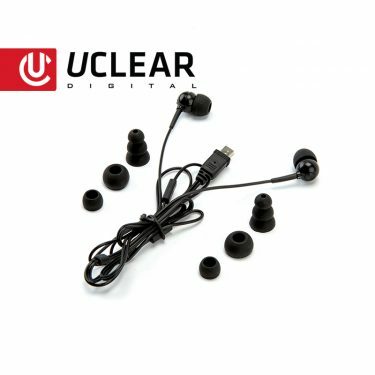 From crystal clear voice audio to exceptional music playback, they nailed it. 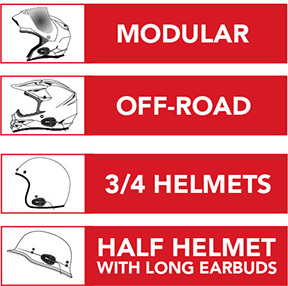 These guys love their hip-hop so they pumped up our sound drivers to bring you the best sound in helmet audio. 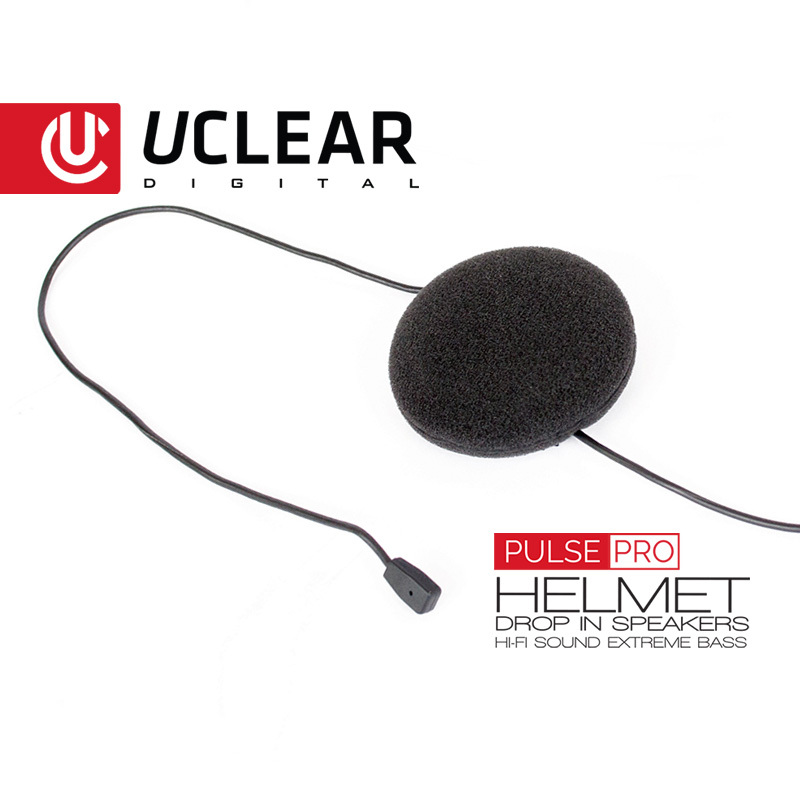 The Pulse Pro in-line microphones were designed for half, 3/4, modular, and full face helmets that have acoustic challenges and require a higher quality of audio performance. 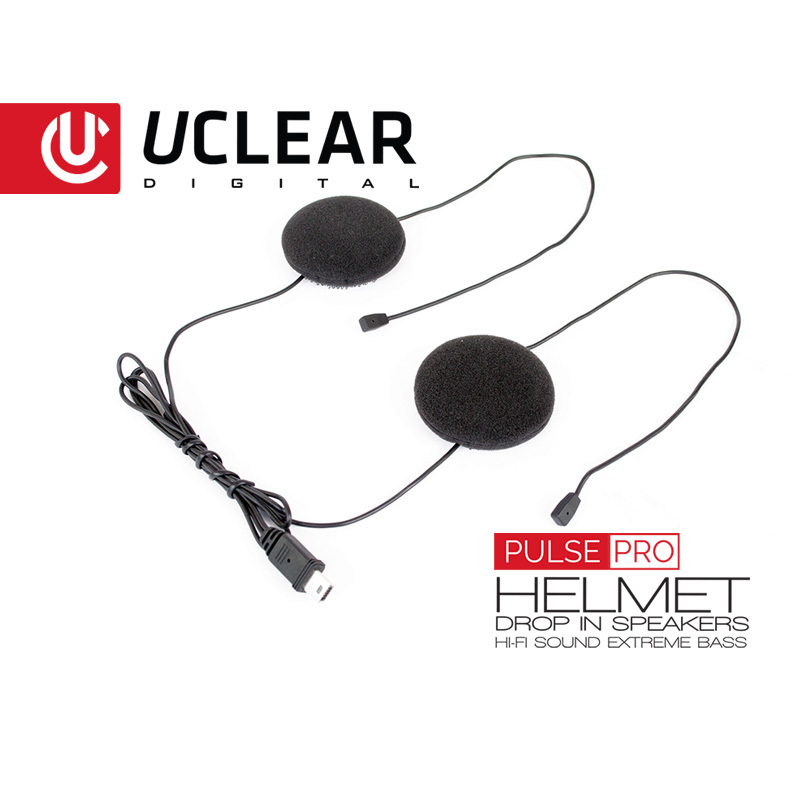 Pulse Pro microphones have an extended microphone that can be custom routed through the helmet for optimal placement allowing for the best audio clarity. 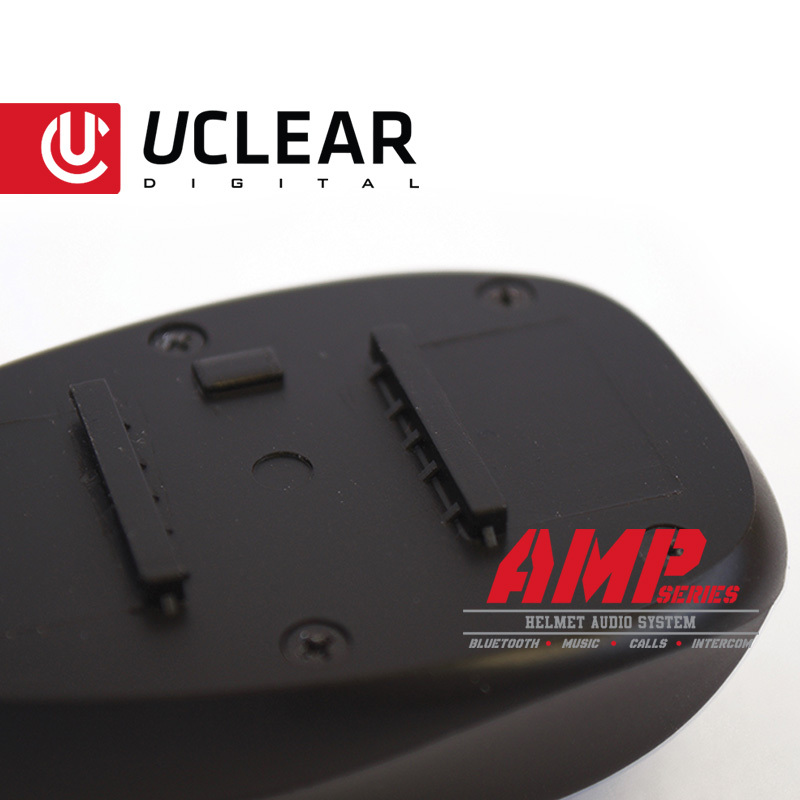 © 2019 UCLEAR Digital. All Rights Reserved.